Get ready for the most daring 80s rock show ever to hit the Barnyard Theatre stage. Yes, we are talking retro fashion, dance and of course music that will bring you an evening packed with the most delightful surprises. Featuring a colourful versatile cast that will rewind to synth pop, new wave and arena rock in the most authentic 80s style. Do you remember songs like The Safety Dance by Men Without Hats, Never Gonna Give You Up by Rick Astley, Just Can’t Get Enough by Depeche Mode or Sweet Dreams by Eurythmics? If you don’t, this rewind will refresh your memory and get you dancing the Robo Cop, The Moon Walk and The Boogie Down like never before! 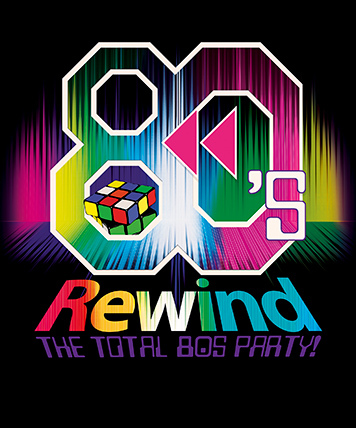 80s Rewind features music from Tears for Fears, The Pet Shop Boys, UB40 and iconic tributes to Michael Jackson, Axl Rose, Tina Turner, Lionel Richie, Bon Jovi and Bryan Adams. Soon, you will be rushing off to wear your shoulder pads, leg warmers, parachute pants, huge earrings, short skirts, fingerless gloves, member’s only jackets and colourful stretch pants – to have you ready to PARTY 80s-style, in no time! The 1980s is the most favoured tune decade of the last 60 years – so join the 80s Rewind cast to make this a party bash you will never forget!